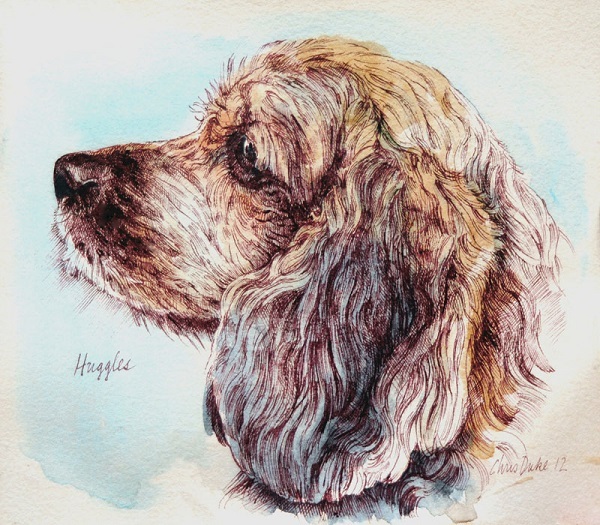 This is a small portrait of Huggles, a Palm Beach dog who, in his mature years, has decided he prefers the air conditioned condo to romps on the beach. Huggles has had a magnificent life of play and is adored. The owners love this little drawing.